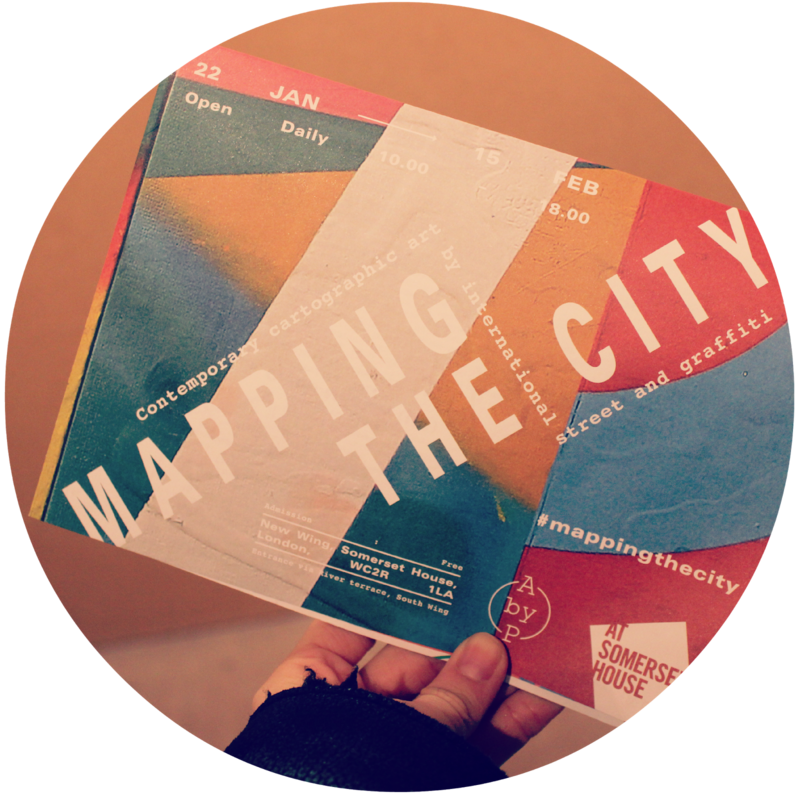 I mentioned in my last post that I went to see Somerset House's Mapping The City exhibition the other day and loved it. Naturally, I took a bunch of photos to remember my favourite pieces as well as the whole day in general. 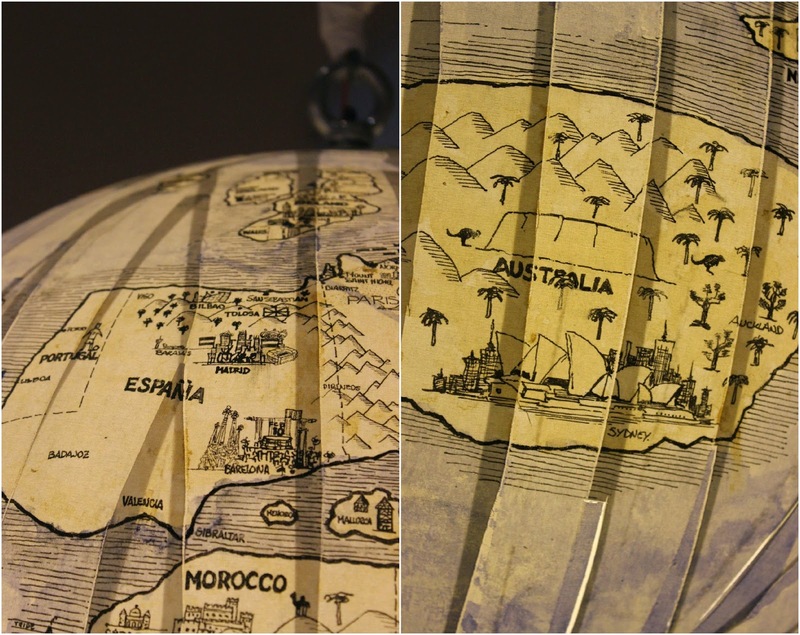 The exhibition closes this Sunday, on the 15th, so if you're interested in anything cartography-related, be quick! I know you'll love it just like I did. The entrance to this exhibition was a different one to the ones I've used before, the River terrace entrance, tucked behind the back with a prime view of the 'behind-the-scenes' of Somerset House. The spiral staircase probably excited me way more than it should have, but what can I say...I love 'em and this one was so cute, tucked away in the myriad of old Neoclassical and Victorian-era structures. The exhibition's accompanying guide was a huge, folded A2 compilation of all of the necessary details as well as Art History-like descriptions of symbolism, meaning and all of that fancy pants artsy stuff I've never quite got my head around. Cleverly, the numbered pieces were linked together based on medium and theme, communicated in a coloured key. This piece was one of my absolute favourites, depicting Barcelona with geometric shapes in the bright colours I'd expect to see in the Catalonian capital. I'm not all that knowledgeable on art, so the conclusion I'll come to on this is that it would make a hella nice screensaver. Amirite? Copenhagen shown in one of the smartest ways possible, in my opinion. This one takes a little bit of thinking, processing and that inevitable head shift as you try and get your head around some of the letters. Regardless, this piece is awesome, with striking lines and flowing continuity. 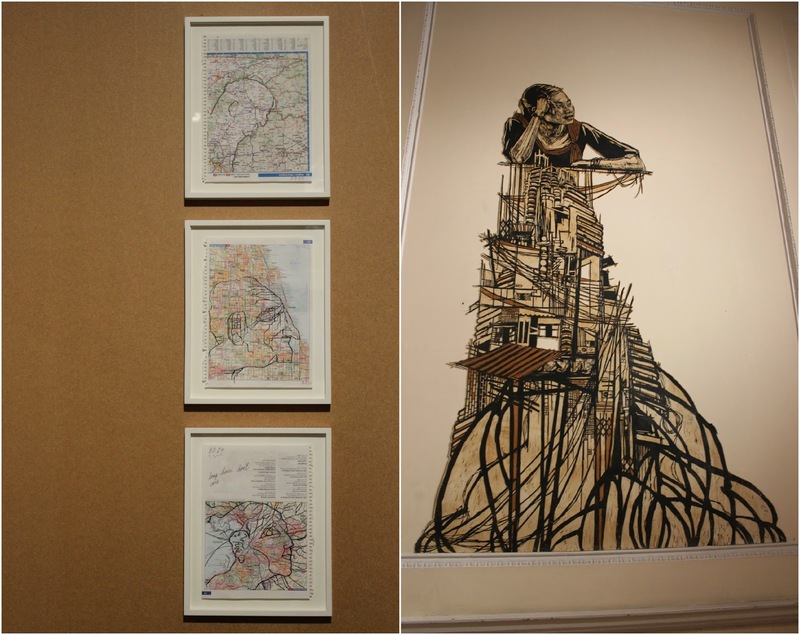 Something I particularly liked about the exhibition was linking some of the pieces to places I'd visited. The piece on the right shows Bangkok, and having been there last year I felt a connection to this one. Physically huge in size, I was taken back by the attention to detail Swoon put in, despite how the details were not necessarily tiny drawings. Huge yet intricate, and a wonderful equilibrium of these two elements. A standout piece in my eyes - the bottom map in the trio. Brad Downey has a way of thinking about maps that absolutely blows my mind. Now as a self-confessed map obsessive, nothing fascinates me more than analysing the little back streets and how cities come together. Flipping it upside down and somehow creating an image that actually looks like something is on a completely different level though. Wow. Perhaps the piece I'd seen the most coverage/Instagram snaps of beforehand was this one by Argentinian artist Martin Tibabuzo. Now this isn't strictly geographically accurate, however the details were remembered before being drawn as part of a test after he began to lose his memory. Can we just take a moment to appreciate that please?! 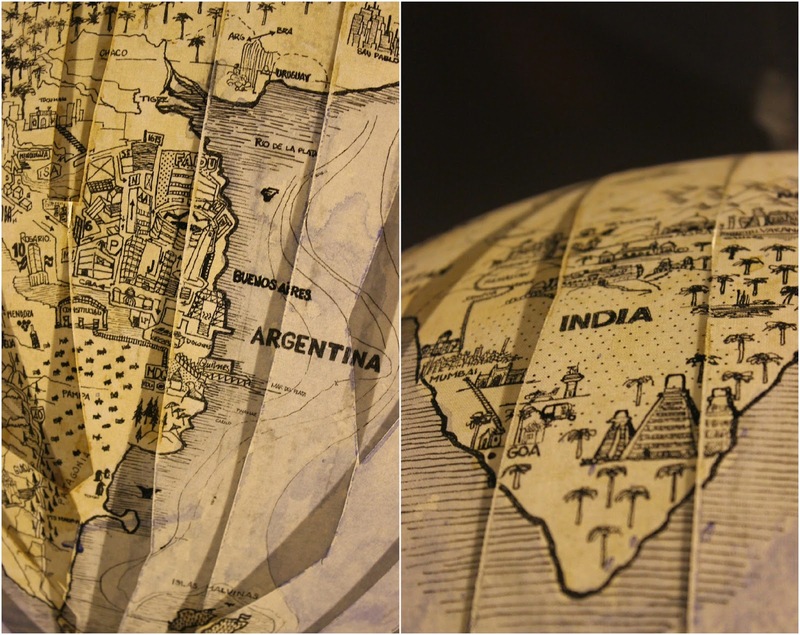 The detail is exquisite and considering it was done without reference to any other maps or images, I'm blown away. The only issue I had with this is how high up it was - seriously, you should have seen me desperately stretching/tip-toeing trying to get a view of the top. Alas, I never quite saw how England was drawn, but from seeing the rest of this I highly doubt it was disappointing. 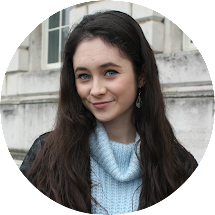 Have you ever visited Somerset House? Being one of my absolute favourite places to visit in London, it's on my recommendation list for anyone that ever visits my home city. As I mentioned in my previous post, it covers all things art/fashion/photography as well as London Fashion Week twice a year, so whenever you visit you'll never be at a loss.